and #1,890 in Entertainment & Celebrity in the ZIG Index. Don’t miss out! 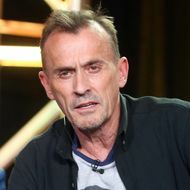 See all of the latest from Robert Knepper and more on ZIG. Prison Break actor Robert Knepper is the latest Hollywood star to be accused of sexual assault. FacebookTwitterPrintEmailPinterestAddthis The LAPD is finally looking into Corey Feldman's claims that there is/was a pedophilia ring in Hollywood.